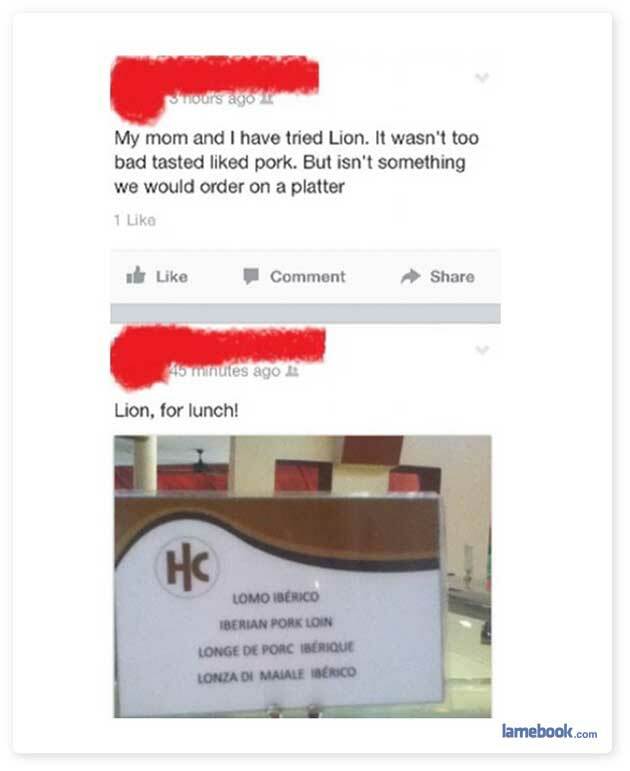 Apparently, eating lion causes dyslexia. Jesus, someone please convince NASA and SpaceX to send these idiots, anyone that thinks there are more than two genders, radical feminists and other annoying SJWs to Mars and see how well they do and then we can all live in peace. ^ Mars? Send them to the Sun. …convince them it will be safe because they will go at night.